Raue Strömung was the first exhibition of the platform of Latin American artists Kap Hoorn, is constituted by the recent work, created especially for the exhibition of 10 chilean artists residing in Berlin. 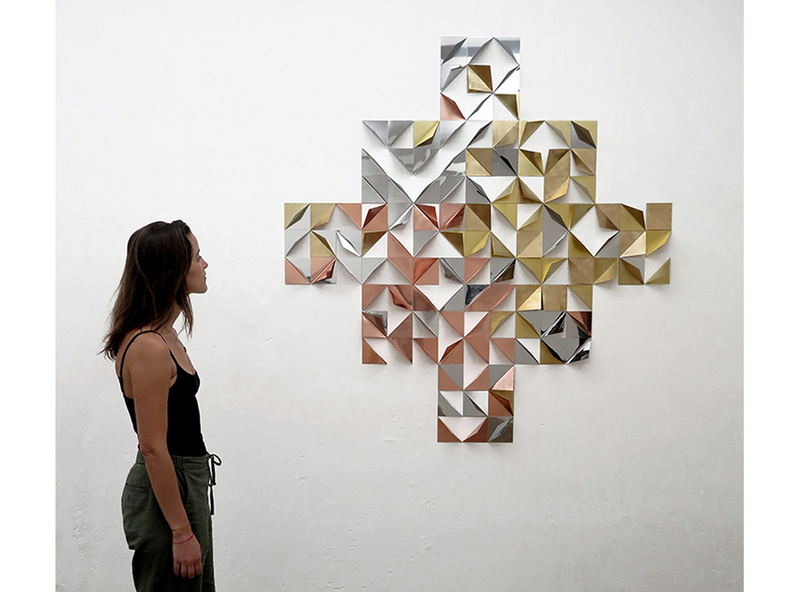 Made in Germany is a re-interpretation of the Chakana, a figure of Andean origins that represents a bridge or a staircase. It harmoniously personalizes the relationship between low and high, the earth and the sun, between humans and superior beings. 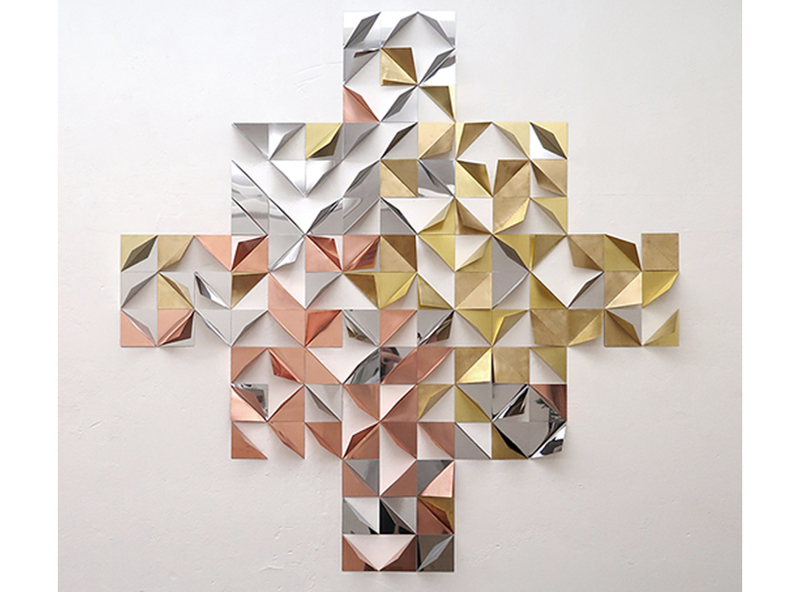 Made in Berlin in 2017, the site-specific work consists of copper, bronze, and stainless steel pieces originating from Chile, all of which follow a 10×10 cm format and are creased along their diagonals. 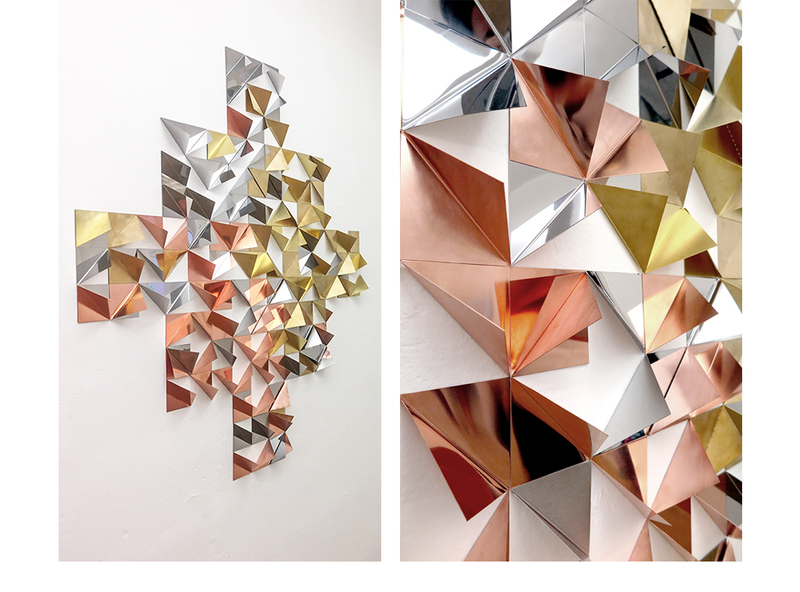 These are very thin and lightweight sheets of metal, which can deform perceptions through reflections, lights, and shadows. This robust figure, of ancestral and sacred origins, is partially drawn out, becoming ephemeral as it simultaneously dissolves over the wall.